Conservation Status (International): IUCN status (international) VU C2a(ii) ver 3.1. Pop. trend: decreasing. Conservation Status (national): Georgian Red List. IUCN National status (2006) VU C2a(ii) ver 3.1. Economic importance (national): interesting as an attraction for bird-watchers, eco-tourists and scientists. Methodological approaches: Nest-site surveys, Habitat suitability modeling, Food base analyses. Contacts and ongoing projectsc: ISU, Institute of Ecology, Institute of Zoology. contact – Zura Javakhishvili. Currently, no ongoing projects. Specific relevant information: The species needs to be uplisted to EN(D1) on a national scale. In early 1990-s, 8-11 breeding pairs were recorded for Georgia. Why to monitor: Globally and nationally threatened. Highly vulnerable to pesticides and chemicals/drugs. Good indicator of quality of forest-steppe and riparian forest ecosystems. Preliminary suggestion: Organize existing data into a user-friendly format freely available on the Internet. Organize annual monitoring of nest-sites throughout Georgian range (i.e. eastern Georgia) and surveys for revealing cases of poisoning from human generated chemicals. Monitoring requires one month per year, an expert and 3-4 students. კონსერვაციული სტატუსი (საერთაშორისო): IUCN სტატუსი (საერთაშორისო)VU C2a(ii) ver 3.1. პოპულაციური ტრენდი: კლებადი. კონსერვაციული სტატუსი (ეროვნული): საქართველოს წითელი ნუსხა. 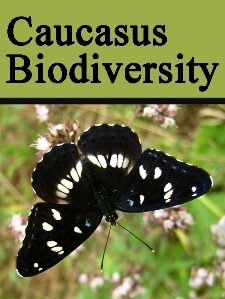 IUCN ეროვნული სტატუსი (2006) VU C2a(ii). ეკონომიკური მნიშვნელობა (ეროვნული): საინტერესოა ბირდვოჩინგისთვის, ეკოტურიზმისთვის და მეცნიერებისთვის. მონიტორინგის მეთოდები: ჰაბიტატების მოდელირება, ბუდეების მონიტორინგი, საკვები ბაზის ანალიზი. კვლევები: ილიას სახელმწიფო უნივერსიტეტის ეკოლოგიის ინსტიტუტი, ზოოლოგიის ინსტიტუტი. საკონტაქტო პირი - ზურაბ ჯავახიშვილი. ამჟამად კვლევითი პროექტები არ მიმდინარეობს. სპეციფიკური ინფორმაცია: სახეობა საჭიროებს კონსერვაციული სტატუსის გაზრდას ეროვნულ დონეზე, EN(D1). 1990-ს დასაწყისში საქართველოში აღინიშნებოდა 8-11 რეპროდუქციული წყვილი. მონიტორინგის საჭიროება: გლობალურად მოწყვლადი სახეობა. ძალიან მოწყვლადია პესტიციდების და სხვა მომწამვლელი ნივთიერებისადმი. ტყე-სტეპის და ჭალის ტყის ეკოსისტემების მდგომარეობის ინდიკატორი სახეობა. რეკომენდაცია: არსებული ინფორმაცია სახეობის შესახებ მისაწვდომი უნდა გახდეს ინტერნეტის მეშვეობით. ბუდეების ყოველწლიური მონიტორინგი საქართველოში (აღმოსავლეთი საქართველო) და მოწამლვის შემთხვევების გამოვლენა და შესწავლა. მონიტორინგი შეიძლება ჩაატაროს 3 სტუდენტმა ერთი თვის განმავლობაში. Abuladze, A. 2012. The Birds of Georgia Bibliography 1654-2011. Institute of Zoology of Ilia State University, Tbilisi, Georgia. Abuladze, A., and J. Shergalin. 1996. On the present status of the Imperial Eagle Aquila heliaca in the European part of the former Soviet Union. Pages 443-446 in Eagle studies (B.-U. Meyburg, and R. D. Chancellor, Eds.). World Working Group on Birds of Prey, Berlin. Abuladze, A., and Y. E. Shergalin. 1994. On new threats to Imperial Eagles. 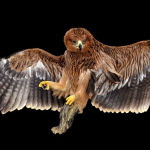 Newsletter of the World Working Group on Birds of Prey and Owls 19/20:7-9. Abuladze, A. 1996. Ecology of the Imperial Eagle Aquila heliaca in Georgia. Pages 447-457 in Eagle studies (B.-U. Meyburg, and R. D. Chancellor, Eds.). Work Working Group on Birds of Prey and Owls, Berlin. 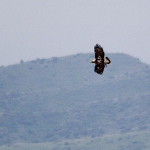 BirdLife International (2013) Species factsheet: Aquila heliaca. Downloaded from http://www.birdlife.org on 24/08/2013. Recommended citation for factsheets for more than one species: BirdLife International (2013) IUCN Red List for birds. Downloaded from http://www.birdlife.org on 24/08/2013.